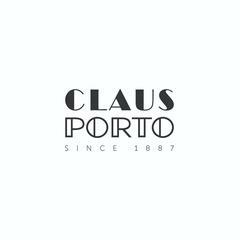 For more than a century, Claus Porto fragrances and beauty products have captivated customers with their unique aromas, exquisite design and delicate old-world craftsmanship. The brand's origins date back to 1887, when businessmen Ferdinand Claus and Georges Schweder created Portugal's first soap and fragrance factory in the historic city of Porto. Today, 131 years later, its scents continue to evoke the rich floral diversity of the Portuguese countryside.